A delightful and educational afternoon was had by all during a mid-August hike in the Penokee Hills east of Mellen, Wisconsin. The trip was organized by the Northwoods Native Plant Society (NWNPS), and led by local botanists Ian Shackleford and Steve Garske. Also on hand to help guide us was Sherry Zoars, NWNPS coordinator (1). The hike began along the Tyler Forks River. This legendary river officially comes into being at O'Brien Lake, south of the Penokee Range. As it flows south and west, the river is fed by wetlands and streams. It then abruptly turns north towards the Penokee Hills. By the time it makes its way to the big hill we were about to visit, it has become a substantial river (and a Class II trout stream). 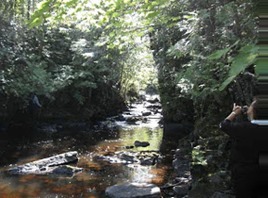 Having heard reports of a canyon on the river, we followed a well-worn path leading upstream. A short walk brought us to the enchanting spot pictured above, with low waterfalls and a very picturesque vertical-sided gorge. We then headed up the hill. 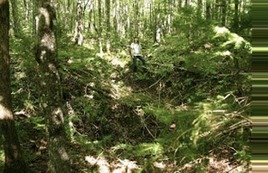 A short walk along an old logging road through mature sugar maple forest brought us face-to-face with a bit of area history: the remnants of the original Tyler's Fork iron mine. The Tyler's Fork mine was named after Captain T. F. L. Tyler, an early minerals explorer in what is now the Mellen area. According to local author and historian Bruce Cox, iron ore was discovered at this location around 1856 by a Mr. Latham. A "practical mining man" named Angus McDonald verified the ore body soon afterwards, but was called away and didn't return until 1888. Development of the mine began around this time. Two shafts were sunk to 225 and 300 feet, a railroad spur was built, and the mine began shipping ore two years later. The mine employed up to 200 men and shipped about 60,000 tons of iron ore before being abandoned in the late 1800s. In 1907 an attempt was made to reopen the mine, but low iron prices combined with the fact that the spur line had been removed shafted the attempt (2). 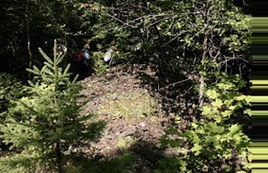 Today one can still see the rock foundation of the old hoist engine, as well as waste rock piles, now overgrown by balsam fir. A series of exploration pits is also still evident. Ore pile from the old Tyler's Fork iron mine sits next to the old railroad grade. The foundation of the powerhouse for the mine. 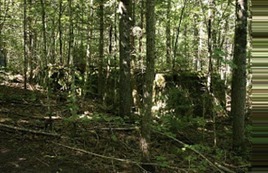 A row of exploration pits can be seen at the old mine site. The Tyler's Fork mine site is a vivid reminder of how the scale of industrial mining has changed. 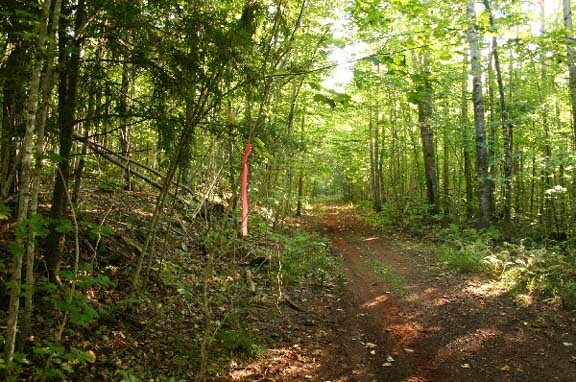 The entire site of the old mine, including waste rock and ore piles, occupies less than 1 percent of this 4.5-mile long hill that would be "Phase I" of the proposed Gogebic Taconite (GTac) open pit iron mine. 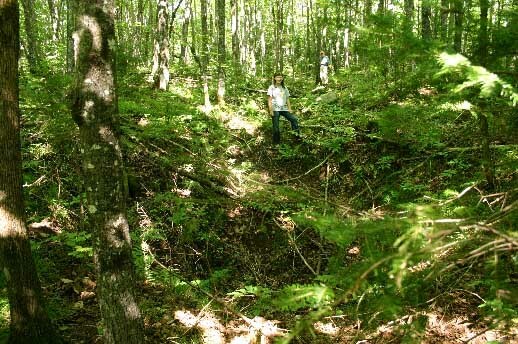 Should this mine be built, by the time this phase was completed this entire hill would be gone and an open pit 4.5 miles long, up to 0.6 miles wide and more than 900 feet deep would take its place. 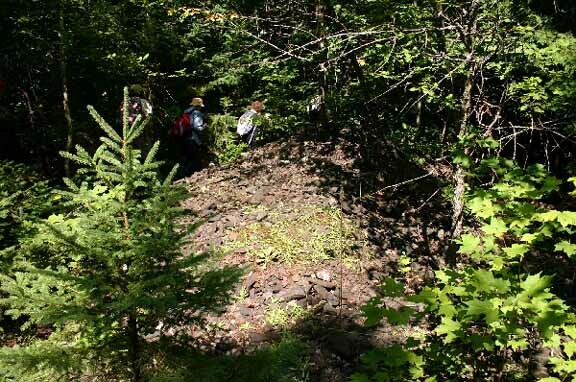 The overburden and waste rock would be piled on Iron County lands to the south, forming a massive pile of rubble the size of Rib Mountain (near Wausau, Wisconsin), according to calculations by independent geologists. Cartographer Carl Sack has created a detailed map of all this (3: See link below to download map). After visiting the old mine site, we followed an old two-track logging road west, along the north side of the hill. On each side of the road we were flanked by mature hardwood forest interspersed with seeps and wetlands. Pink flagging hung from branches along the south side of the road, marking the locations where the GTac company had applied for a permit to drill boreholes to characterize the deposit. 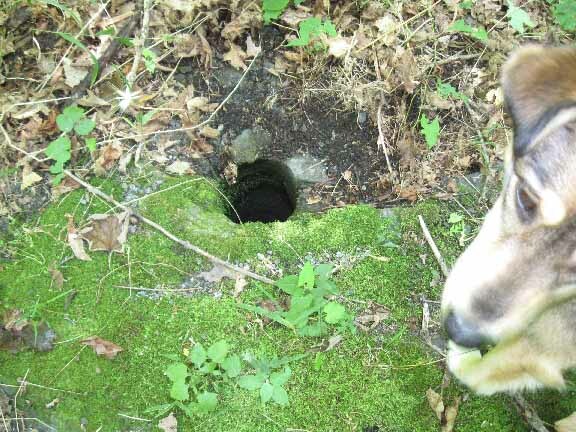 On March 15, 2011, GTac applied for a permit to drill eight exploratory holes (4). The Wisconsin DNR issued the permit a few days later (5). Then in early June 2011 GTac announced that they would probably need to drill as many as 30 holes to characterize the site (6). But soon afterwards, GTac put the entire project on hold until the state's mining law was changed, and none of the holes were ever drilled (7). The pink flagging marking the locations for the prospective holes still hangs from the trees. 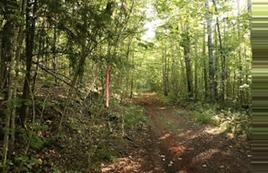 Flagging marks the location of a potential drill hole for the open-pit iron mine planned by Gogebic Taconite in 2011. Along our walk participants pointed out some of the botanical treasures that light up the summer woods. 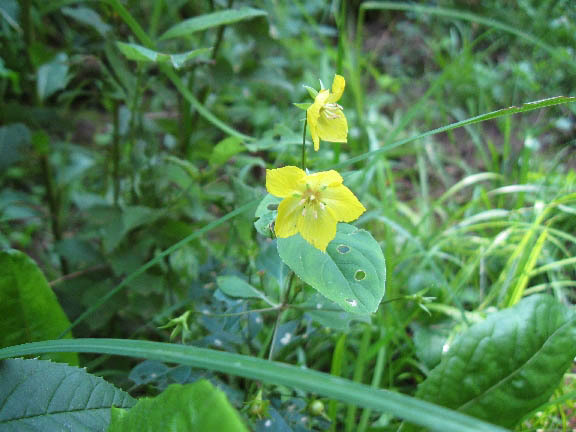 Fringed loosestrife (Lysimachia ciliata) is an attractive and little known native wildlflower that favors wooded seeps, floodplains and wetland edges. 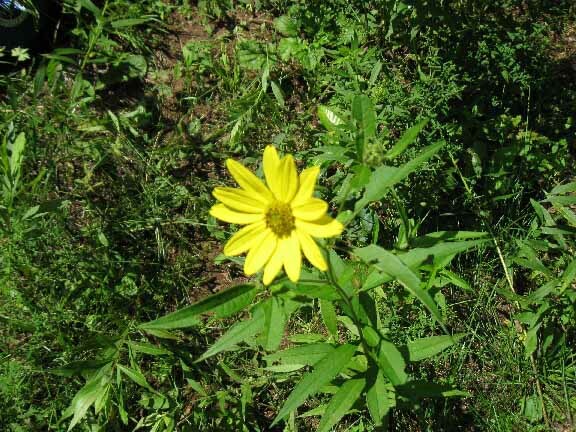 It spreads underground to form a carpet on moist to wet, lightly to moderately shaded sites, and makes an excellent border or wildflower planting. 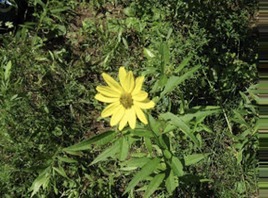 Tall sunflower (Helianthus giganteus) grows in similar habitats (usually in light shade to full sun though), and is one of our choice late summer wildflowers. And nodding trillium (Trillium cernuum) was busy making seeds. 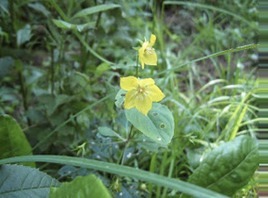 Sundrop-like flowers of fringed loosestrife brighten our path. You're not so tall, Mr. Sunflower! On sunny, moist sites tall sunflowers can reach more than seven feet tall. Nodding trillium with its bright red seed capsule. Starting around 1958, renewed interest in iron mining led to 233 cores being drilled in this part of the Penokee Range, including some along this hill. 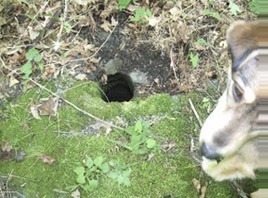 We saw several of the old holes during our walk. An interesting article by Deanna Erickson relates a tour of the area by state senators and local officials in 2006 and mentions these cores (8). A fellow hiker checks out an exploration hole along the crest of the hill. The Penokee Hills and the wetlands to the south form the headwaters of a large number of streams and several major rivers. These include Ballou Creek, Bull Gus Creek, the Tyler Forks River, and the Bad River. The main branch of the Bad River begins at Caroline Lake. From there it makes its way north to Copper Falls State Park. The Tyler Forks River also flows to the Park, before cascading over spectacular Brownstone Falls and into the Bad River. The Bad River continues its journey north, flowing through the Bad River Reservation and eventually reaching the Kakagon-Bad River Sloughs and Lake Superior. The Kakagon - Bad River Sloughs support what may be the largest and most pristine wetland complex on the Great Lakes. That complex supports what may be the largest and most productive wild rice beds in the world. These rice beds are an irreplaceable cultural and economic resource for the Ojibwe people. The sloughs were designated a National Natural Landmark in 1973. All together, about a dozen lakes south and west of the proposed mine site and more than 24 streams and rivers running through the site would be impacted by the mine (9). Much of the concern about the environmental damage from the proposed mine has focused on the region's lakes, rivers, and streams. 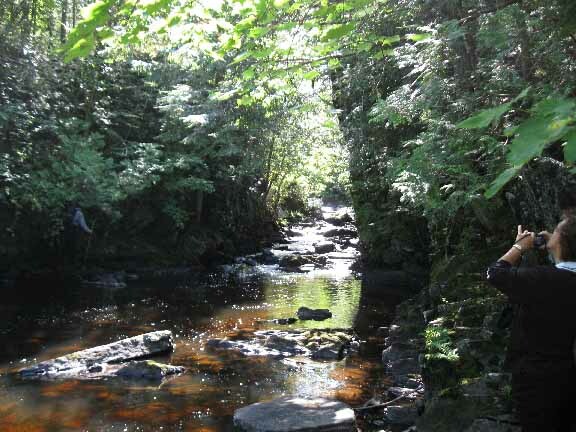 These risks are substantial -- including increased sedimentation; lowering of the surrounding water table; and acid mine drainage, which would carry acidified runoff and toxic heavy metals downstream towards Lake Superior. But less attention seems to have been given to the forests and wetlands that would be obliterated if this mine were to proceed. 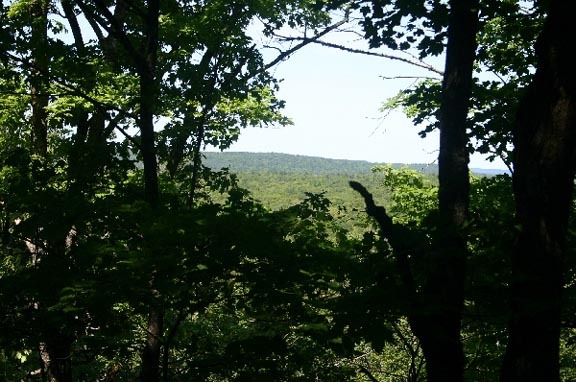 The Penokee region supports some of the healthiest and most productive northern hardwood forests in the state. 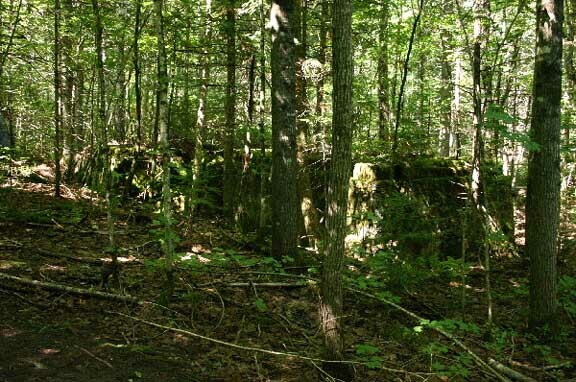 It forms a natural corridor of forests and wetlands joining the Chequamegon National Forest in northern Wisconsin to the Ottawa National Forest in western Upper Michigan. And many consider it one of the most scenic areas of the state as well. 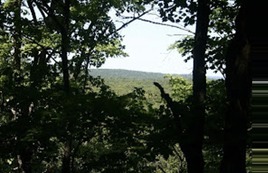 A view of the next Penokee hill, from this one. On March 6, 2012, the Wisconsin State Senate declined to pass the House mining bill (widely understood to have been written primarily by GTac) by one vote, with all 16 Democrats and Republican Dale Schultz of Richland Center voting against the bill. Within hours the GTac president announced that the company was "leaving Wisconsin." The company continues to linger in the shadows, though. A letter from the Wisconsin Manufacturers and Commerce (WMC) (leaked to Progressive Magazine) outlines WMC's strategy of waiting for a Republican-controlled senate in November to push GTac's bill through (10). And a recentIronwood Daily Globe article quotes GTac president Bill Williams as saying that the company is still considering the area (11). For millennia the Penokee hills have towered above the surrounding landscape, the worn-down roots of an ancient mountain range that was once as high as the Rockies are today. A billion years of wind, rain, freezing temperatures and glaciers have not been able to erase them from the landscape. But the final chapter in their history has yet to be written. What will be left of the Penokees 50 or 100 years from now? Their fate is in our hands. 1. 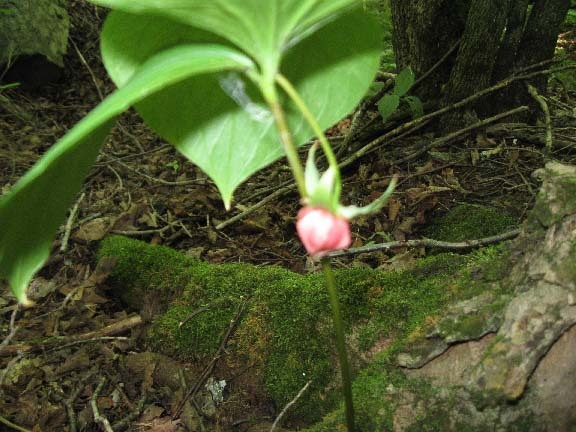 Click here to learn more about the Northwoods Native Plant Society. 2. Cox, Bruce. Mines of the Pewabic country of Michigan and Wisconsin. Volume 3: Wisconsin Iron. Wakefield, Michigan: Agogeebic Press, 2005. Click here for information about this book. 3. Click here to download map. 4. Click here for the March 15, 2011, exploration license application. 5. Ansami, Ralph. "WDNR grants permit for Gogebic Taconite. Ironwood Daily Globe 19 Mar. 2011. 6. Simonson, Mike. "GTAC may drill 30 exploration holes." Ashland Daily Press 10 June 2012. 7. Hawley, Jon. "Bewley updates local Democrats on mining." Ironwood Daily Globe 10 Oct. 2011. 11. Hawley, Jon. "GTAC still considering area." Ironwood Daily Globe 25 Aug. 2012.